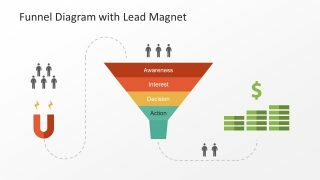 The Funnel Diagram with Lead Magnet PowerPoint Template is an awesome design to create outstanding sales and marketing presentations. 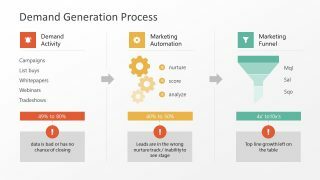 The multi-layer funnel is an illustrative diagram for sales process of consumers activity while buying a product. 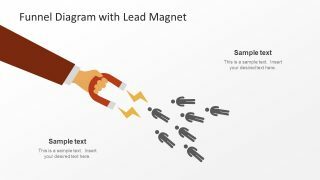 Whereas, the lead magnet is the process of attracting potential buyers via discount or promotions in exchange of contact information. 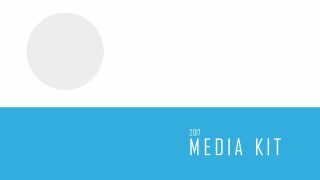 Such as, online advertising through digital channels i.e. free downloadable files. Therefore, the pre-design 3-stage template demonstrate key points of customer decision making process. 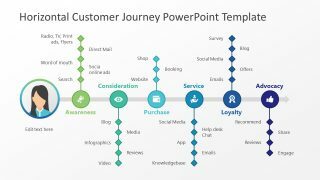 The entrepreneurs, marketing professionals and business consultants can find this PowerPoint useful. Moreover, the teachers of business studies can make an incredible visual display to explain the concepts. 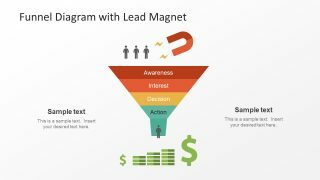 The editable Funnel Diagram with Lead Magnet PowerPoint Template has 7 slides of an amazing business presentation illustration. 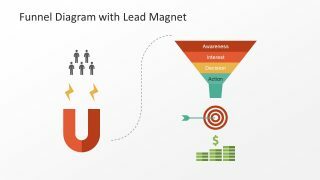 The main slide shows an overview of lead magnet turning potential buyer’s customers inside the funnel. 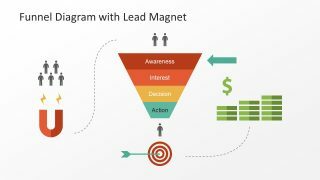 Next, the sales funnel leads to increase in revenue depict by bar of coins and symbol of dollar currency. 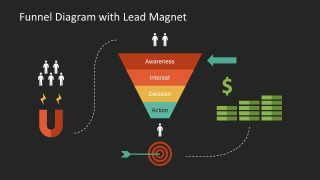 However, the U-shape of magnet and triangular image is for sales. The users can modify the diagram by changing the colors, size or changing the position of different icons. 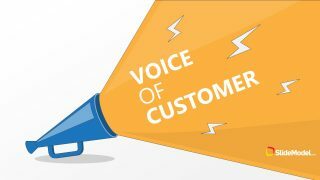 The human silhouette on top represent the potential customer into the pipeline. 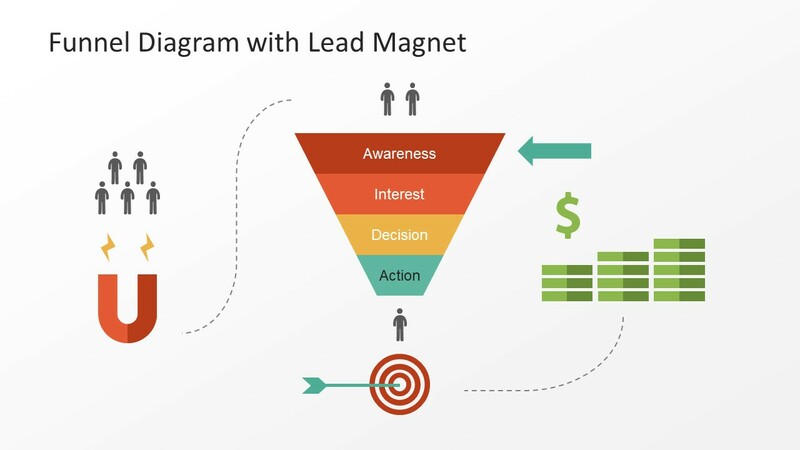 Whereas, the infographic of arrow target shows the stage where users buy a product or service. The further template slides highlight the various stages of diagram with the variation in design. 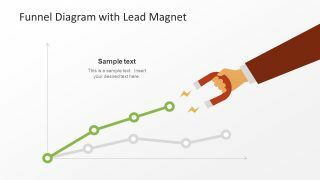 Also, there are templates for lead magnet as stacked line chart and attracting people using magnet shape.